New Toys for Even Better Future Videos! What some of you may not think about is all the stuff that goes behind the scenes when a YouTube video is being made. It's a lot more than simply grabbing a camera and saying what's on your mind although that can work sometimes. Most of the time multiple cameras are used, tripods and special lighting are important and even how you record the audio source can make a huge difference as to the sound and what people hear in your final video. With all that said I am always looking for a new way to help me out with the quality of my video recording and production. How can I make things look better or more interesting, how can I improve the sound quality and clarity of my videos? Well today I show you two new products I picked up that I feel will help me out in these areas. 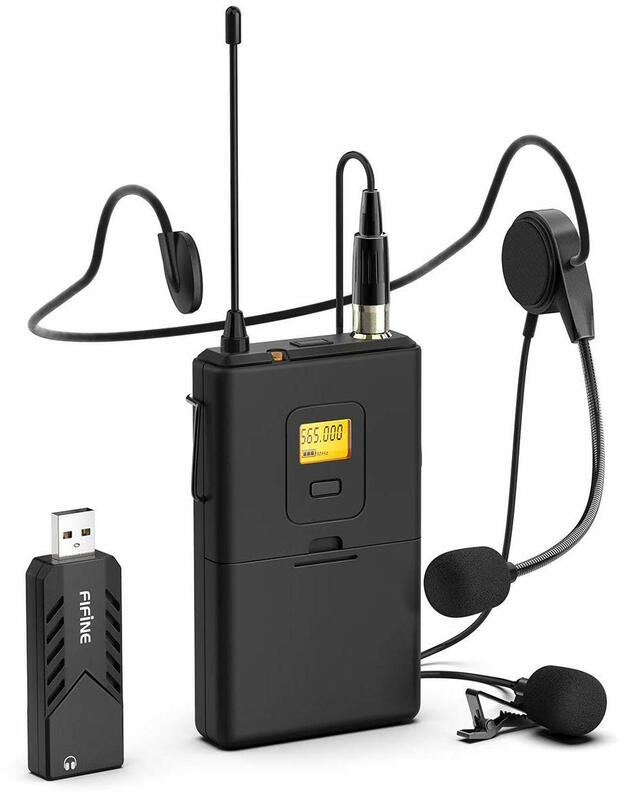 First in the audio department I show you my new Wireless Headset/Lapel Mic system from a company called FiFine Technology. They actually sent me their FiFine Wireless Headset and Lapel Mic for free so thanks a lot for that! My plan is to use the FiFine Wireless Headset and Lapel Mic to record the audio portion of my videos rather than the built in mic in my camera since I will get less room noise and better direct voice audio recording. I think it will also be useful when doing outside shooting videos to get super clear audio with less outside noise at all times. For this testing I simply connected the FiFine Wireless Headset and Lapel Mic to my Samsung Android phone using a USB adaptor, the same can be done suing an iPhone. Moving on now to a new video product, I have been wanting to get a Drone to capture more interesting video that I can shoot from multiple viewing angles and also be able to have a moving camera while I shoot outdoors videos. The problem is they can be kind of expensive for anything decent, because of this, so far I have not been able to justify bitting the bullet and buying a drone. That was until I saw a great deal on the Yuneec Breeze 4k Selfie Drone at my local Best buy for half price ($249 CAN) What a deal! Anyways, watch me fumble around while I try to figure things out with my Yuneec Breeze 4k Selfie Drone for the first time, there is always a learning curve when you get something new but I do hope to be able to utilize both of these new products in upcoming videos for everyone.